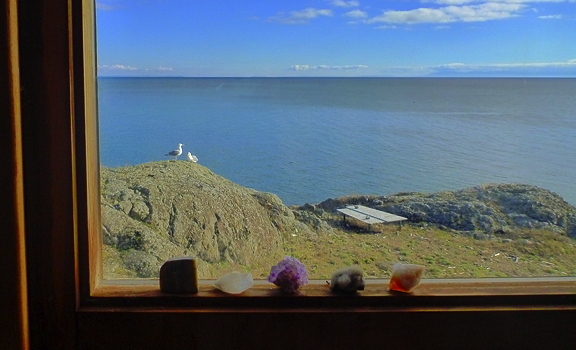 Bring Alex, her music, and the Salish Sea into your rehearsal room or lecture hall, no matter where you are! Alex really enjoys interacting with students and faculty during rehearsals and guest artist residencies. But when budgets and schedules don't allow for travel, Skype (or a Google Hangout!) has become the next best thing. Whether for a rehearsal of a concert wind band piece or chamber work, or to bring Alex right into your lecture hall for an interactive discussion about the music business, Skype is a great tool. 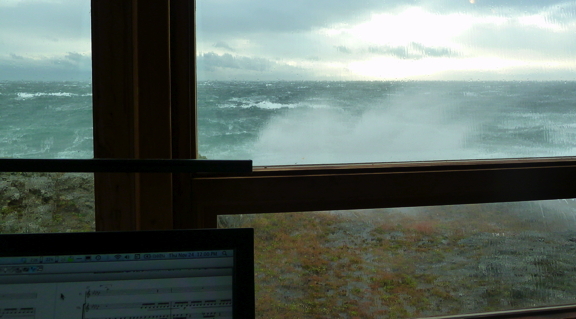 A composer's live feedback is valuable, and musicians smile when Alex turns her camera around to show them a source of her inspiration: the sea at her feet on Washington State's remote San Juan Island, with the occasional Bald Eagle or Orca whale gliding past. 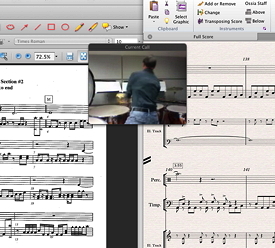 The technology brings a unique dimension into the art of collaborative music-making, and connects students to the person-- and sometimes to the very funny stories-- behind the notes on their music stands. 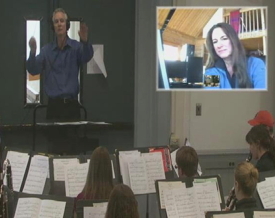 A Dec. 2012 Skypehearsal with percussionist David Jarvis. 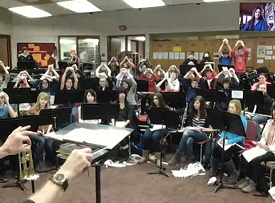 A March 2013 Skypehearsal with Alex in her studio, and band director Brad Schneider with Middleton High School in Wisconsin, rehearsing PAPER CUT. 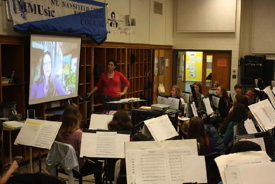 A December 2012 Skypehearsal with Alex in her studio, and band director Mary Bauer and Mt. Mansfield Union High School in Vermont, rehearsing PAPER CUT. "Alex is not only a fabulous composer, but she is equally as fabulous with kids! She worked virtually with my MS band kids several years ago, and it was one of those experiences that cannot be recreated. Those kids are almost finished with college now and their experience with her, and the fact that she was "at" the concert, is something they almost always have on their "remember when" list when they come back to visit. Thank you Alex for your beautiful soul!" Click the photo to see a video of what a Skypehearsal is like! 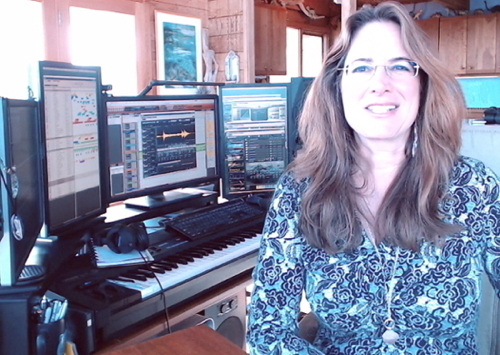 Alex doing a Skypehearsal in her San Juan Island studio, February 2016. CLICK to watch what it's like! and become one of her friends in the social networks. 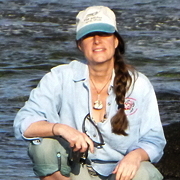 In January 2006, Alex began Notes from the Kelp, her personal commentary from the beach. She regularly posts new insights to a large international following of "Kelphistos." Pairing her photos and her music in what she calls a "pixelsonic" experience, Alex invites readers to share the beauty of the environment which inspires her. Visit and drop her a note!